Whether you're sharing a lovingly prepared meal with family, or simultaneously stress-eating cookies and sobbing quietly in a linen closet as a result of said family, food is an essential part of the holiday experience. Trader Joe's knows this. 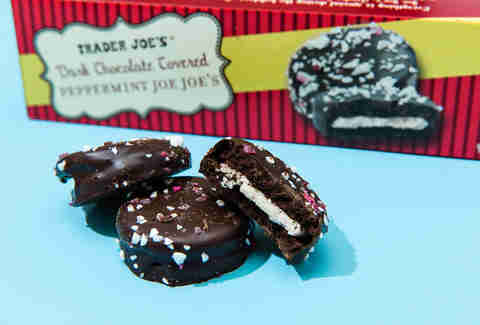 Trader Joe's customers know that Trader Joe's knows this. As a result, there are certain items that people know to stockpile to enhance their holidays. 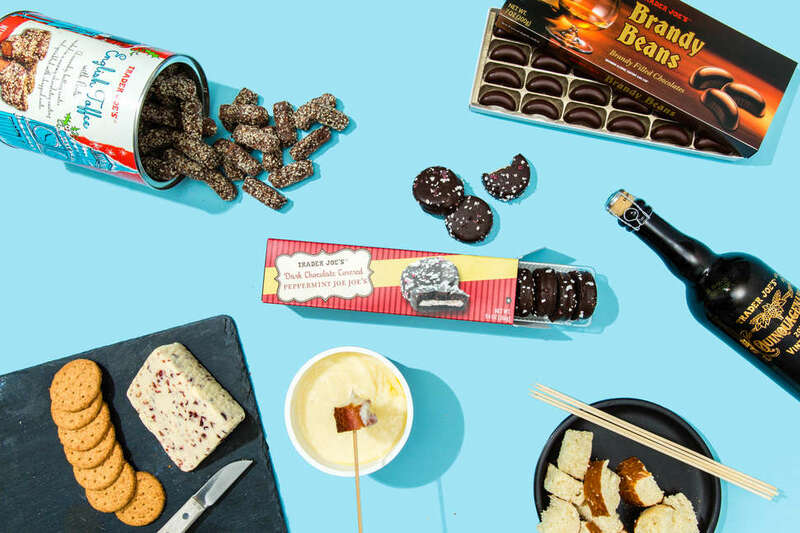 We spoke to a Trader Joe's insider to get the scoop on the goods people love to load up on at this time of year. Sometimes you want to serve fancy finger foods at your holiday gathering. Sometimes you have vegetarian or vegan guests who aren't crazy about your charcuterie board. 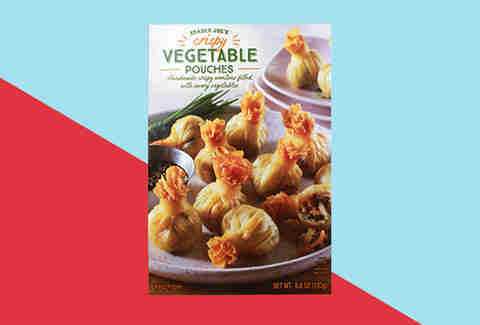 Enter Trader Joe's new crispy vegetable pouches, a crispy wonton satisfyingly tied into a little bundle enveloping a savory blend of jicama, taro, cabbage, carrots, onions, and shiitake mushrooms seasoned with garlic, soy, and ginger. There's a convenient handle-type situation at the top. There's also a wrapped present joke in here somewhere but you're probably more interested in the apps. 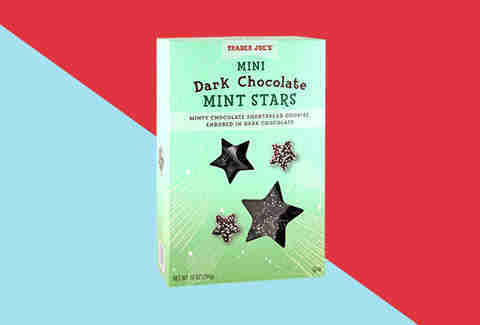 'Tis always the season for bite-sized ice cream treats, and Trader Joe's, always on the cutting edge of ice cream novelties, knows this all too well. 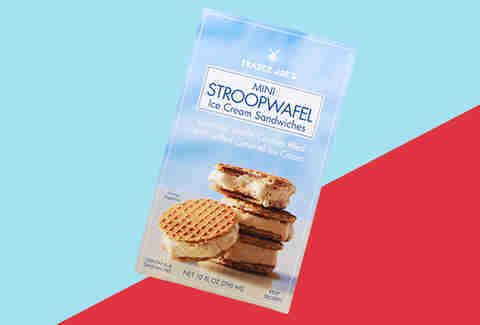 Their latest frozen section find takes the undeniable deliciousness of Dutch treat the stroopwafel (basically two thin waffles sandwiching a thin layer of caramel) and FURTHER sandwiches them around salted caramel ice cream. If it weren't for the melting they'd be much more exciting Christmas tree decor than candy canes. 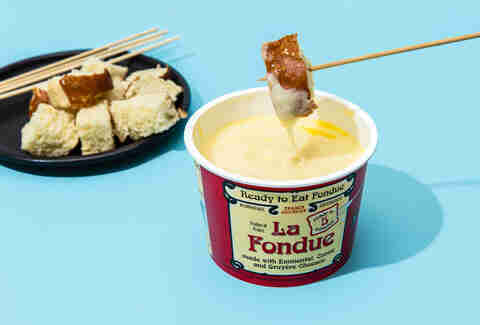 This welcoming red plastic tub 'o cheese (La Fondue sounds much classier) is a gloriously meltable combination of Comté, Emmenthal, and Gruyere that will require only a brief stint in the microwave to be ready for all your dipping needs -- or drinking needs. It's generally accepted that a proper holiday dinner entails the roasting of some sort of animal foodstuff in the oven. But what route to go? Turkey? YOU JUST DID THAT. Ham? Whatever. Elevate your festivities with one of these pork bombs, lovingly covered in herbs and spices, rolled, tied, and wrapped in bacon. 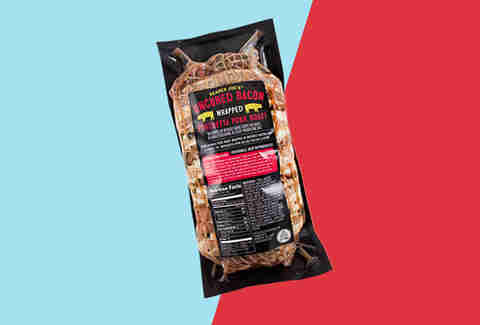 If you like your holidays to be built on a foundation of lies, you can get it out of the plastic ahead of time and convinced loved ones you did the bacon wrapping yourself. Do you like Thin Mints? Did you run out of all the Thin Mints you bought from your coworker's daughter months ago because once a sleeve is open you can't help but tear through the whole damn thing? Does that make you sad? 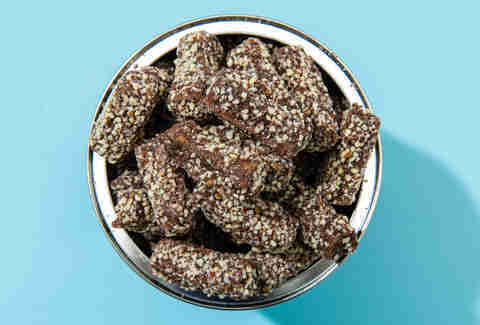 Would it make you feel better to have a bowl of tiny star-shaped thin mintesque cookies covered in sprinkles? Yeah? Thought so. 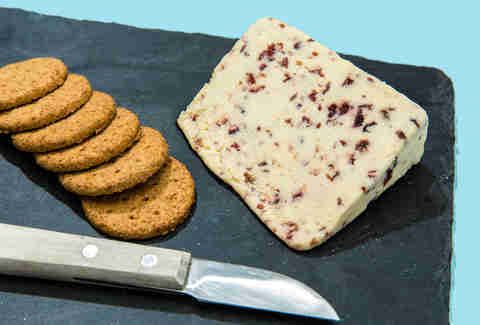 Perhaps you're looking for a holiday accent for your cheese and charcuterie board. Perhaps you're making a salad that calls for crumbly cheese and dried cranberries and you'd like to kill two birds with one stone. Perhaps you think the presence of fruit mitigates the nutritional ramifications of your cheese consumption. Whatever your reason, this creamy, tart hunk of happiness looks (and tastes) like a block of holiday cheer. It doesn't matter if it's a wedding, an aggressively non-Kosher bar mitzvah, or a Christmas party. 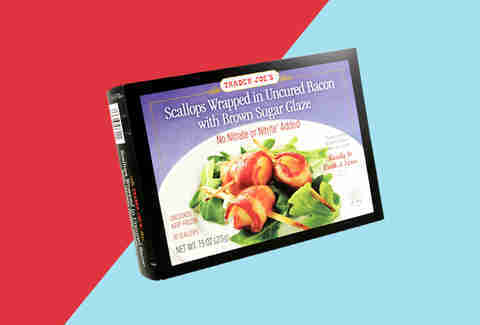 No matter how much time and care went into the rest of the food spread, the bacon-wrapped scallops will be the first thing to go and the item which instills the most excitement among your guests. It's just food science. It's tempting to make a cheap crack about British folks and their teeth here, but that's not really in the spirit of the holiday season. But you know what IS in the spirit of the holiday season? 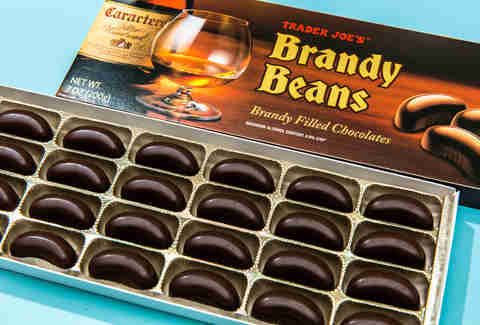 Buying one of these tins with the intent of sharing it with guests and then eating it all well before anyone comes over, then running out and buying another one like nothing happened. The aforementioned Joe-Joe's make an appearance in this spectacular mélange of sweetness. So do peanut butter cups, caramel corn, pretzels, and a bunch of other stuff that responds well to being drizzled with chocolate. You'd think that would be enough, but now they've made the stuff available in ice cream form. 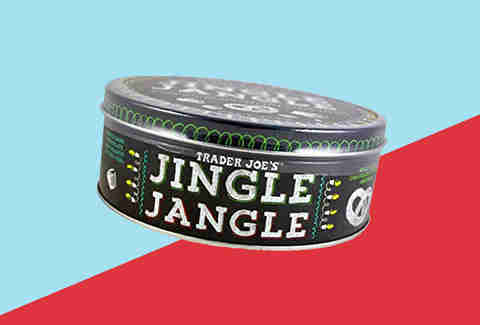 It probably tastes good topped with more Jingle Jangle? 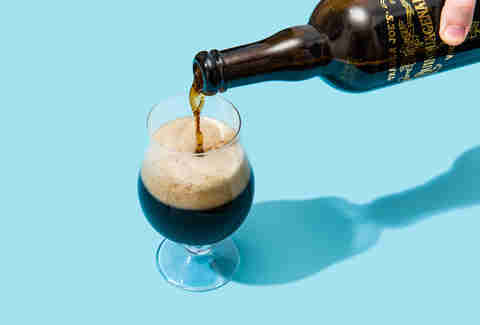 Every year Trader Joe's (whose beer game is better than you realize) releases its vintage ale, and every year some soul who has never had one before springs for a 750 (it's only a few bucks, after all) pours a glass, and is wowed by the dark malty excellence of this strong Belgian ale. This year's edition is no exception. Look, we have nothing but love for Two Buck Chuck, but it's likely you're looking to bust out something a little more special for your holiday feast. 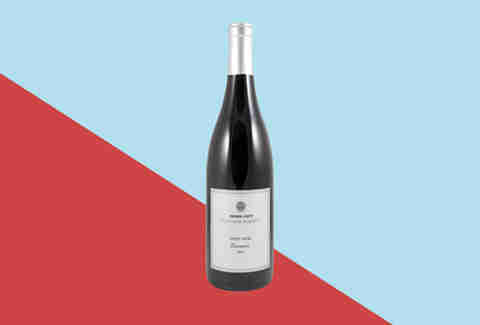 A few bottles of the $15 cabernet that Trader Joe's stocks towards the end of the year will impress even your wine snobbiest of houseguests. And, more importantly, it will help you tolerate said houseguests. Matt Lynch is upset that the Bob Dylan "jingle jangle mornin'" joke he was working on didn't come together. Help him finish it @MLynchChi.